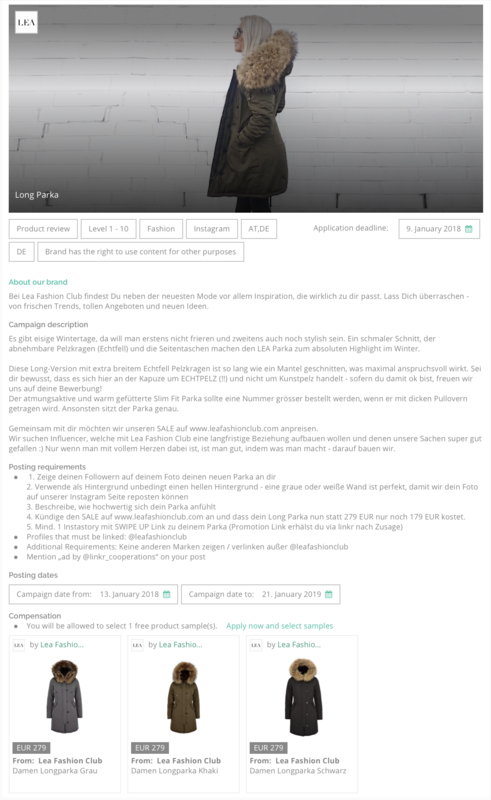 WHAT IS THE LINKR CAMPAIGN MANAGER? 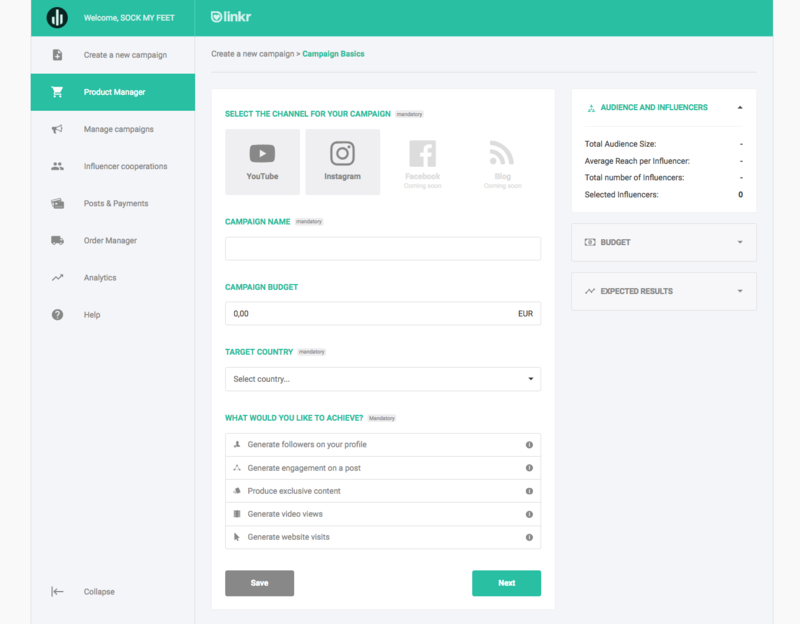 Each campaign is presented as a small tile, providing you with basic campaign information. Detailed information is available via the "see details" button. You can copy campaigns in case you're planning to work on a new campaign which is similar in nature to one you've already created. Please note that you can only edit campaign settings up until the point where the first influencer applied. The campaign detail view shows you all the details of a particular campaign. The view is very similar to the one that is presented to influencers. Clicking on the plus symbol on the campaign overview will launch the campaign creation wizzard, which will guide you through the process of setting up a new campaign step by step. You can navigate between steps by either clicking "back / next" or directly clicking on the step you'd like to jump to in the navigation area in the top right section of the screen. You can click "save as draft" at any point in time and continue editing at a later stage. 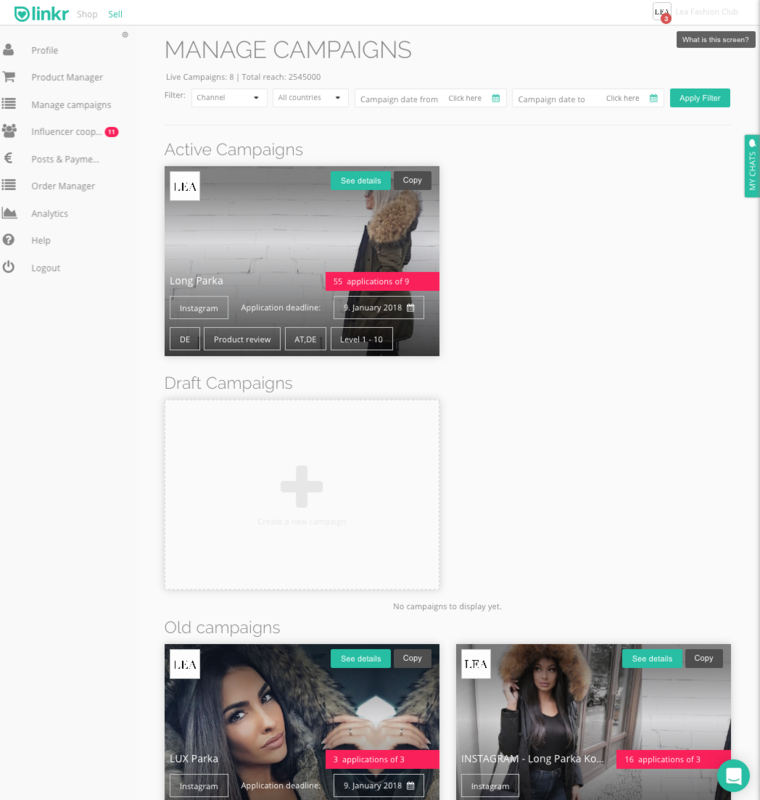 You will find your campaign in the draft section of the campaign overview screen on the linkr Campaign Manager.